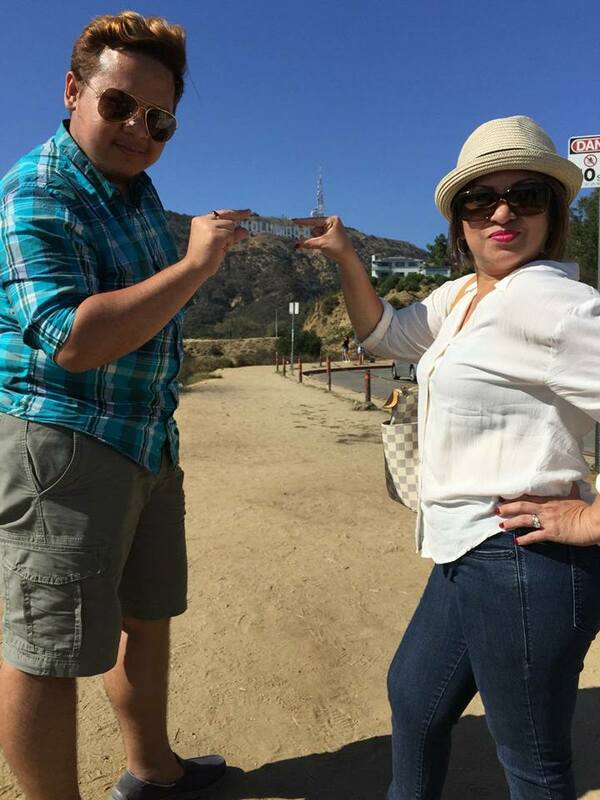 Located at the central region region of Los Angeles, California. Famous for it is the home of the Entertainment Industry, not just in America but also throughout the world. It is also one of the attractions that I visited during my week-long stay at my Auntie Beth's. Auntie Beth is probably the coolest and grooviest Aunt I ever had! She is so kind just like her mother Lola Onor which is also a fountain of love and kindness. Even if we grew miles apart, she has always been there for me. Thank you so much Auntie Beth! I can't wait to see you again. Roosevelt Hotel is a historical hotel which was built during the 1920's and is famous as filming locations for a lot of movies and TV shows. 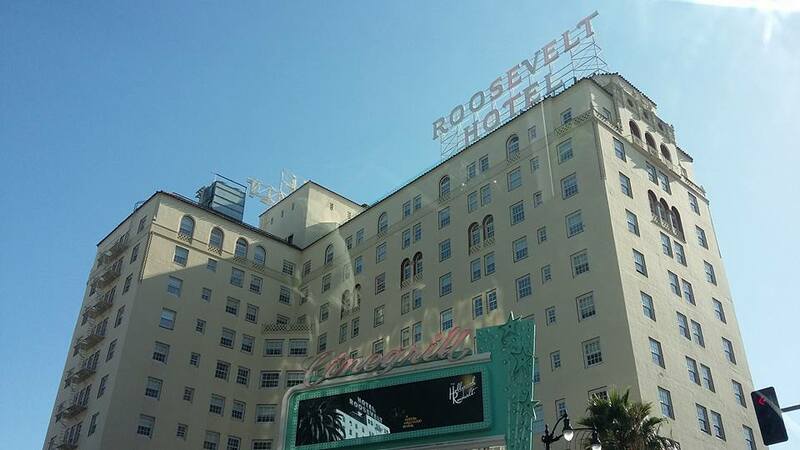 Located at Hollywood Boulevard, this hotel is rumored to be haunted with alleged sightings of several ghosts including celebrities such as Montgomery Clift and Marilyn Monroe. Whether it is true or not, I just can't deny that I was so amazed seeing it in front of me as we walked along the street. 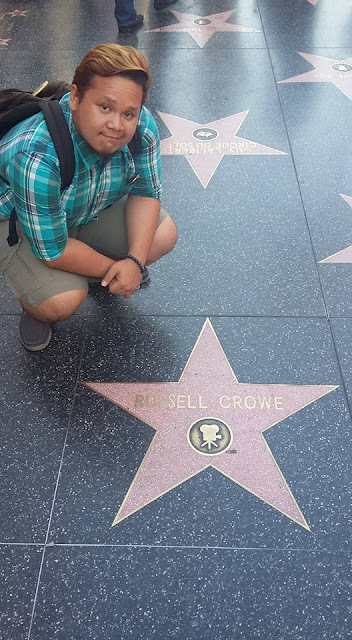 Walking along the Hollywood Walk of Fame was really an amazing experience for these are the places I can only see in Entertainment news on TV and on the Internet. 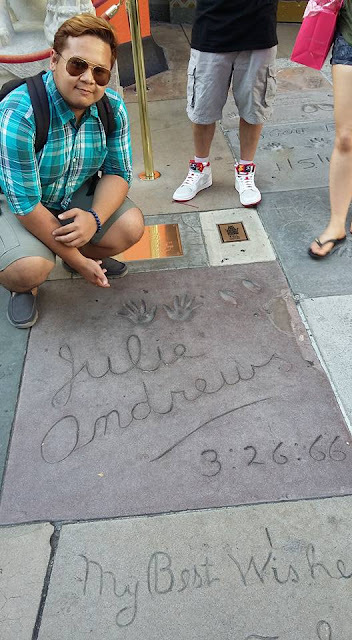 Seeing Stars dedicated to my favorite actors like Julie Andrews, Russell Crowe, and so much more gives me so much joy! I just can't believe I was at that very place at that very time. 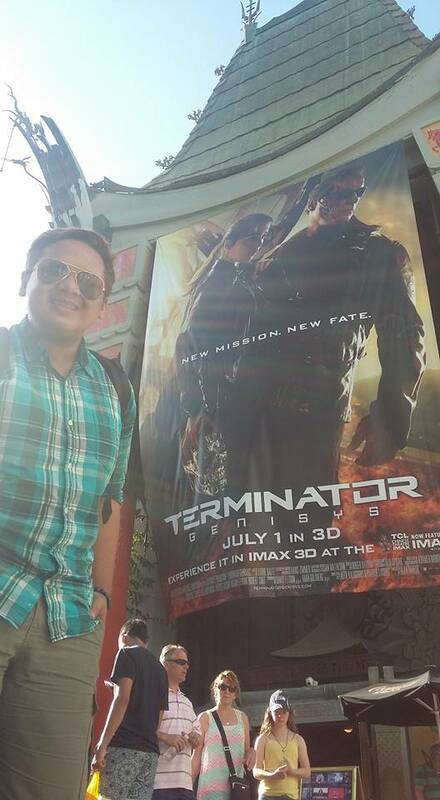 Another famous landmark along the Hollywood walk was the Chinese Theatre. A historic theatre which has just been converted into an IMAX theatre just a few years ago. 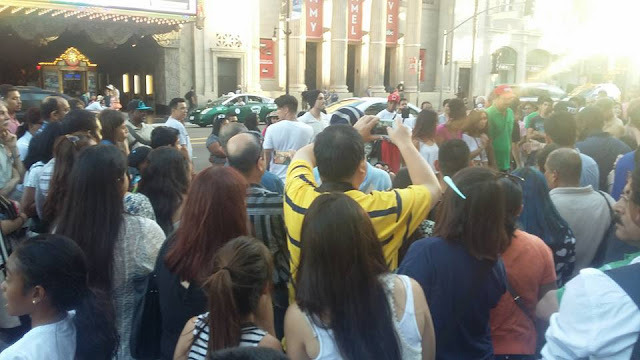 It seats 932 people and hosts North America's third largest commercial movie screen. 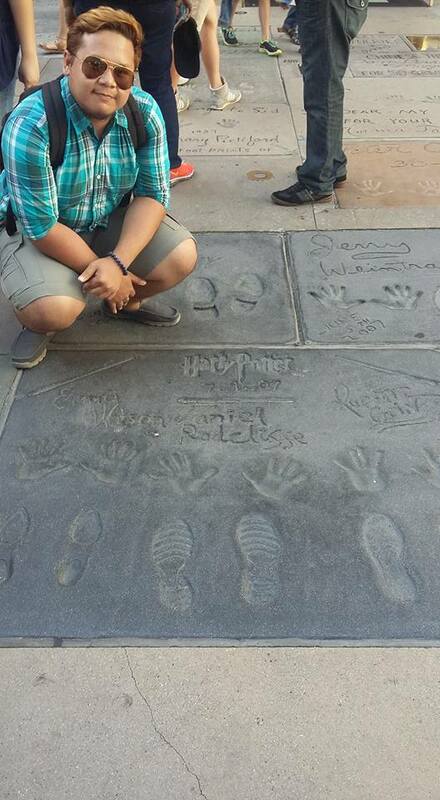 In front of the theatre doors are handprints of famous people. 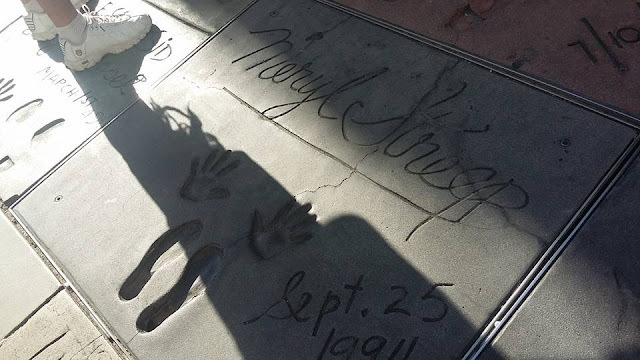 Again I was struck by my all time favorite actresses Meryl Streep and Julie Andrews who has just celebrated her 80th birthday a few days ago. The handprints of the Harry Potter trio Daniel Radcliffe, Rupert Grint, and Emma Watson who I grew up with were also there. Along the Hollywood Walk of Fame were hundreds of Street Performers and people in costumes, most of them look really cool! Spiderman, at least three Michael Jacksons were there but for me the coolest was Superman! He looked so handsome and so huge just like a real Superman, too bad I wasn't able to take pictures with them because there were just so many people. 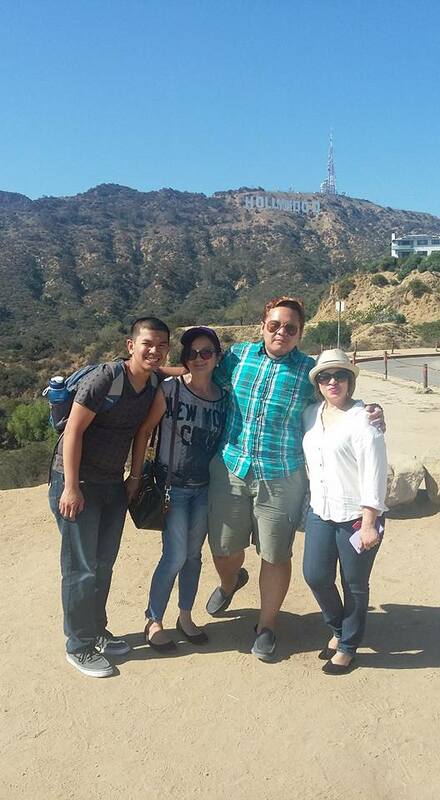 It was a great experience being there at Hollywood but of course it will never be as fun and exciting without my family! Auntie Beth and her family and of course my dearest Mama Vicky and my cousin Vigie. I will never forget those moments, actually, after 4 months I can still picture it perfectly in my memory. 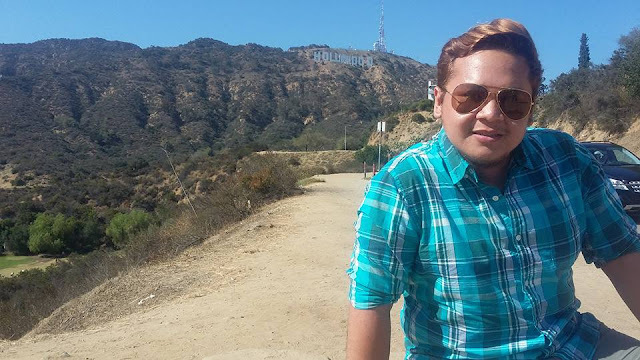 Thank you so much Auntie Beth, Mama Vicky, and Vigie for giving me a great Los Angeles experience and being one with the famous in Hollywood. I wish I can visit again in the near future not just those places, but most especially, my family there. I just can't wait to have more bonding moments with them soon!